Yes, this is an invitation, but not to a party. 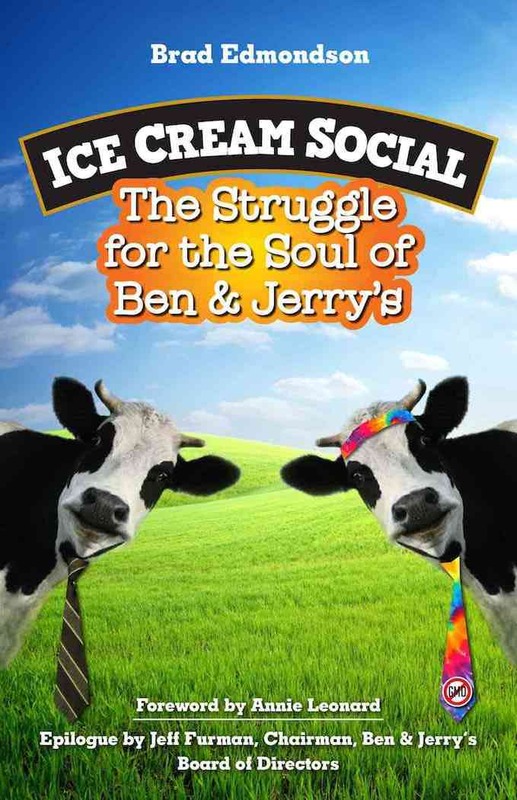 Brad Edmondson, the reporter behind BenefitCorpReporter, learned about the world of socially responsible business by writing Ice Cream Social: The Struggle for the Soul of Ben & Jerry’s (Berrett Koehler, 2014). If you haven’t read it yet, you should! The book is about the beloved ice cream company’s 35-year struggle to live up to its commitment to the triple bottom line, and how that commitment survived after the company was forced to sell to a huge corporation, Unilever. It’s a funny, sad, and ultimately uplifting story written for a general audience, and it got rave reviews. Brad also built a large and lively web site to support the project, because it turns out that the Ben & Jerry’s story is an excellent way to introduce students to the big ideas driving socially responsible business. Check out the web site here. Better yet, cut to the chase and buy the book. (You might be able to come to a party too, because Brad gets a lot of speaking invitations. Check here to see if there’s one coming up near you).